Soprano pipistrelles (Pipistrellus pygmaeus) are one of 18 species of bat found in the UK. They are our most commonly sighted bat, feeding on midges, mosquitos and other small flies, using echolocation between 55 and 80 kHz. They often roost alongside other species of bat such as Common pipistrelles (Pipistrellus pipistrellus). Aigas is home to another two species of bat; brown long-eared (Plecotus auritus) and Daubenton’s bat (Myotis daubentonii). Female pipistrelles form maternity roosts during the summer and give birth to pups between June and July. For the first four weeks, the pups rely solely on their mother’s milk, after which they are able to fly and begin foraging independently at just six weeks old. At this time, some individuals may become a bit confused and lost. 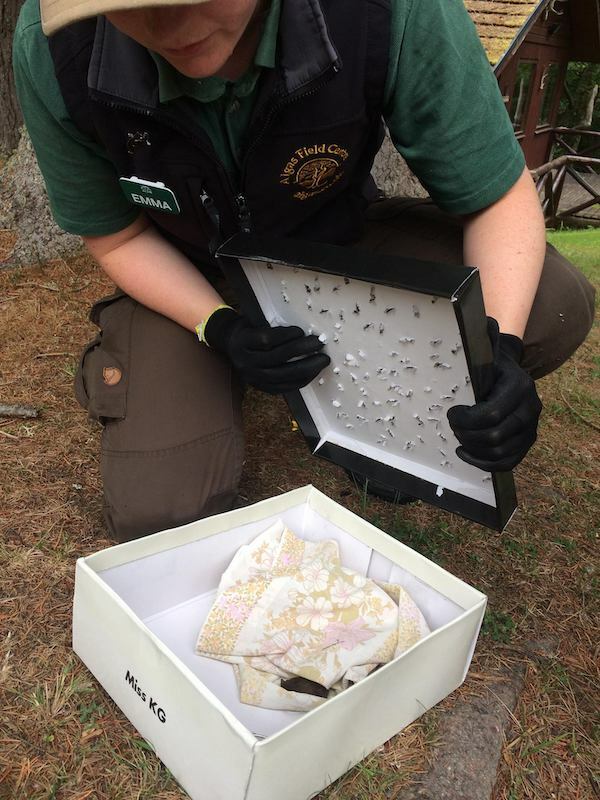 In my short time at Aigas as a first year ranger, I have successfully rehabilitated three young soprano pipistrelle bats. The first was when my family visited Aigas; we had just returned from a hide visit, when a youngster fell from the blind as I drew them for the evening, dropping onto my head before falling to the floor. Unfortunately, I did not have my technical bat care box to hand (a shoe box with holes in the lid) so settled for the neon pink basin, in which I placed a towel and jam jar lid filled with water. This is used for initial bat care when you discover a bat in need, gloves should also be worn if handling is necessary regardless of whether you are vaccinated against rabies. Pipsqueak (we named her) was still at first; however, she was likely in a torpor state to conserve energy. The bat stirred when handled but did not resist, suggesting that she was cold. Pipsqueak quickly settled for the evening, tucking underneath folds in the towel. The following day, she was able to eat and drink, and I examined her for injuries. This involves gently stretching out the wings and checking for tears or broken bones. After concluding she was suitable for release and able to fly, I allowed her to fly from my hand the following evening. Bats should only be released at night and close to their roost if the location is known. The second bat, Pippen, missed the entrance to her roost and ended up in our shared bathroom in Sequoia Lodge by flying through an open window. It certainly is an interesting morning when you hop in the shower and suddenly hear distressed bat calls. 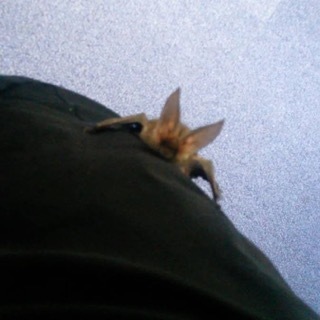 Pippen was feisty in comparison to my previous bat and tried biting, a sign of good health; she was kept in my box for the day with access to food and water, then released at dusk when the other bats were emerging to forage. The third bat, Pippa (You can spot a running theme) was discovered and named by rangers Alison and Tierney while they were working on site. Pippa was resting on the Giant Sequoia (Sequoiadendron giganteum) behind the guest lodges. We did not want to leave her outside in daylight as she was rather close to the ground and exposed to cold. 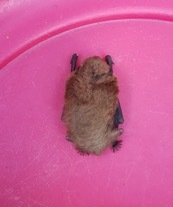 It is unusual to find a bat outside during the day, especially so close to the ground, therefore in such cases you should assume that the individual is not well. Pippa was quite sedated, likely affected by the cold and exhaustion so did not make much fuss when I handled her, placing her inside my box, where she headed straight for the towel. Words and images by Aigas Ranger Emma Archer. 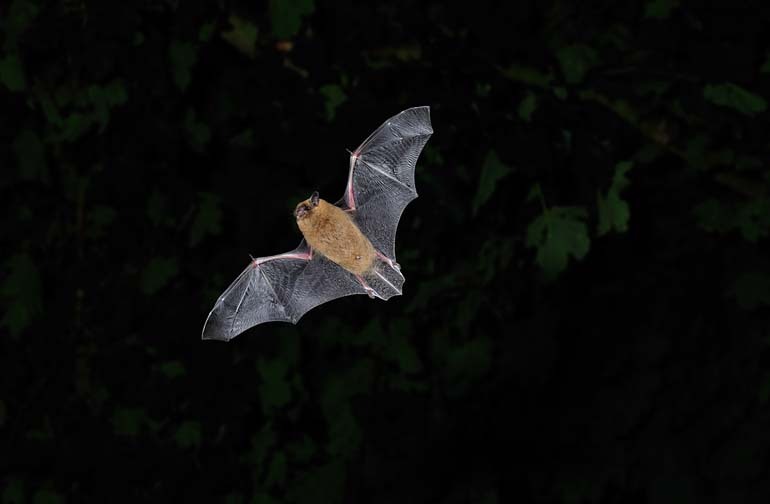 Main image of flying bat by Laurie Campbell. Wonderful work Emma, well done and a very interesting piece, fascinating.